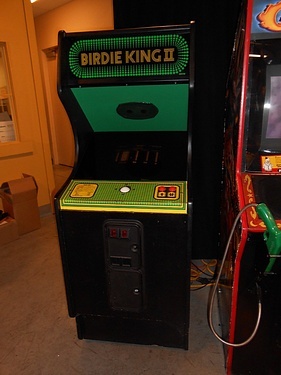 There's something wonderfully honest I find about this humble Birdie King II machine. Maybe it is the good condition it sports, or the side art that is still hanging on, or the very reasonable price...or the fact that it actually works. Yes, there's something to be admired about this 29 year old game, in the funny little cabinet, that is ready to find a home in another gameroom and keep doing the job.